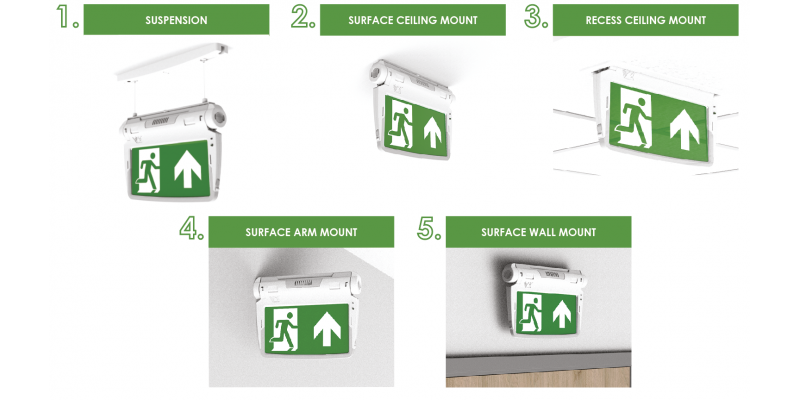 The new Emergency 6 in 1 lighting fixture is versatile to suit any location and application. The fixture can be suspended, surface mounted, recess mounted, arm mounted or wall mounted. Customisable legends cater for every installation and the built in task light ensures a safe and comfortable working environment. With three hours maintained or non maintained emergency mode, self test and 50,000Hrs life the Emergency 6 in 1 provides unprecedented practicality and peace of mind. Now available at Luminous Solutions Ltd, please ask for more details and prices. Click on the Promotional Video below to see all the benefits of this new product.